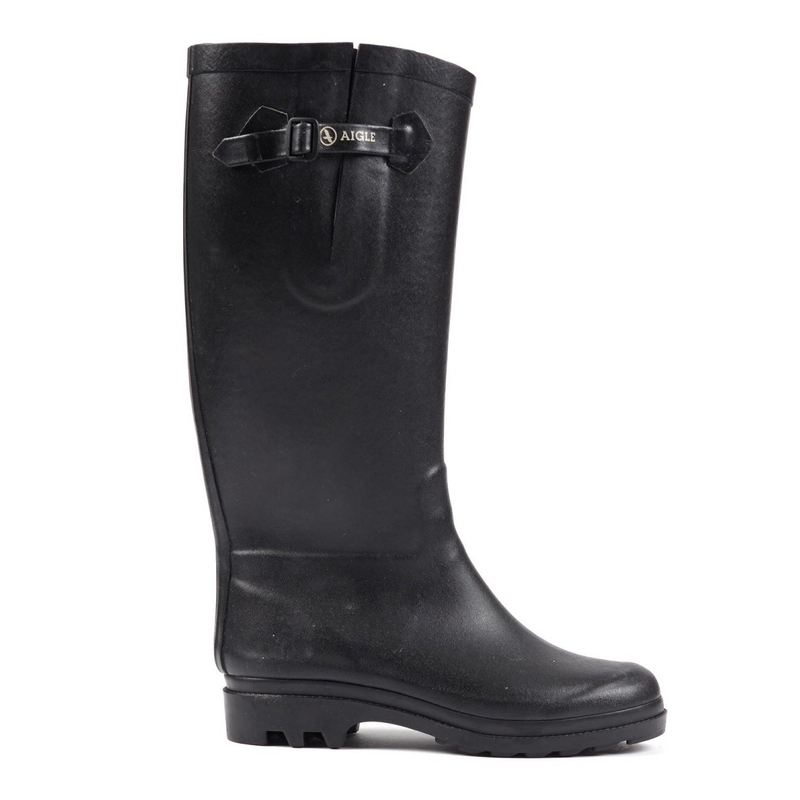 Aigle Aiglentine Fur Wellington Boots. With faux-fur lining, this version of the Aiglentine® boot is ideal for cold weather. Inspired by the men's range, it asserts its individuality with its tightening tab and lugged outsole. Its equestrian design and contoured shape give it a very feminine style. It adapts perfectly to your leg with its adjustable gusset. This rubber boot is handmade in France by our master rubber craftsmen. High quality product fur inside goes all the way to the feet Christmas present so fingers crossed! All good so far. Ive only been using them for a week though so this could change. Comfortable warm and true to size. Very happy with this product. The most comfortable wellies ever my first pair lasted 4 years and I walk my dogs 2 hours a day every day!